A nice set of matching keycaps can be expensive, but who needs matching? A nice set of matching keycaps can be expensive, but who needs matching? 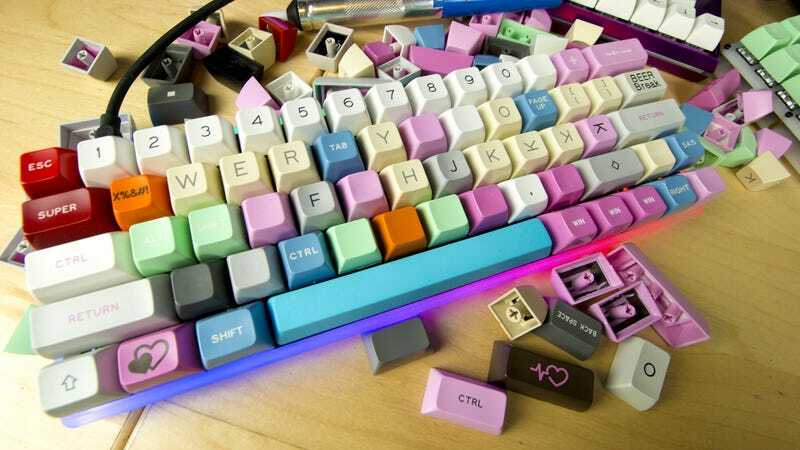 The ACR60 I assembled this weekend looks lovely in mismatched “unicorn vomit,” courtesy of grab bags purchased from users on Reddit’s MechMarket. Plus it’s got a super X%&#! “Beer Break” key.